1045 is composed of medium carbon. This steel is the most low level carbon sword, it is relatively easy to make, and mostly is machine made. 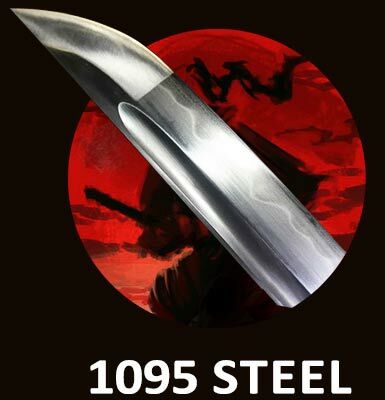 1055 Steel is a very popular choice when it comes to Katana Iaito blade that is not sharp and intended for practice of kata. As suggested by the number, a 1055 carbon steel has 0.55% of carbon content, a 1060 carbon steel has 0.60% carbon content, and a 1095 carbon steel has 0.95% carbon content. Click on the steel you want and see only swords made of that particular steel. As carbon content increased it becomes less ductile and more difficult to weld, the carbon then is heat treated to make it more ductile and softer for fabrication. 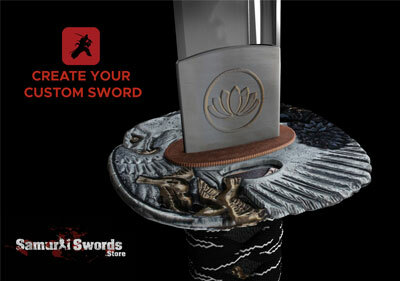 When there is higher carbon, the alloy can be hardened to increase the sword impact resistance, strength and wear. The reason for heat treating the carbon steel is to change the properties of the steel, usually heat treating effects the ductility, impact resistance, hardness and yield strength. 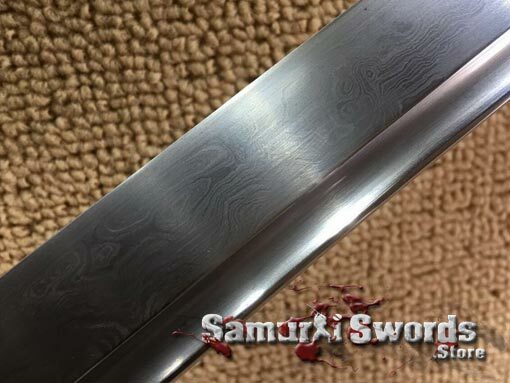 When you choose to buy one of our custom swords for sale, you can decide which steel we should use on your Samurai Katana or any other sword available for customization. if you want to learn more about the different steel types, visit the steel comparison page. 1060 Carbon Steel is our most basic entry level of high carbon steel. The high carbon in the 1060 Steel makes it durable, but it is not high enough to compromise its pliability. 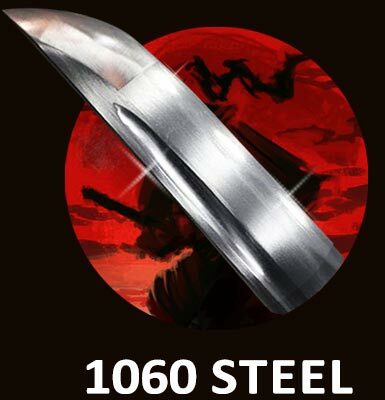 The 1060 steel is great sword for decorative purposes or for Iaido.Swords made of 1060 carbon steel keep their edges sharp, are suitable for soft objects and medium targets. It is the favorite steel material of famous swords companies. 1095 Carbon steel is very tough steel that contains %0.95 of Carbon. The 1095 Steel carbon percentage results in a very hard steel. custom Katana made of this steel is preferably clay tempered. 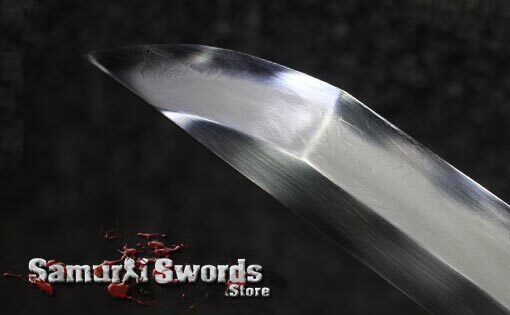 (Differentially hardened) which results in hardening the edge and keeping the spine softer, this method increases the blade edge durability, provides more flexible blade and enhances the resistance of the sword to corrosion. The maximum of resistance and toughness is obtained when the T10 blade is properly clay tempered. It is one of the favorite steel choices among sword collectors. 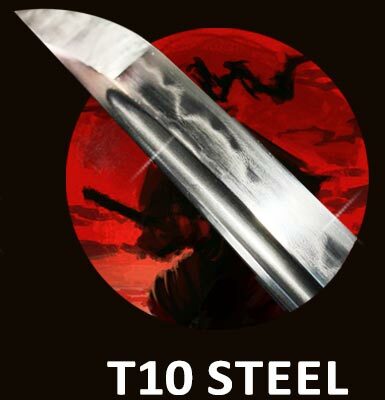 swords made of the T10 steel are great for Tameshigiri and test cutting. 9260 Spring Steel is tempered, resilient and tough than cold steels like 1050 Steel. 9260 steel is very durable. Materials like silicon is used to create this type of blade. 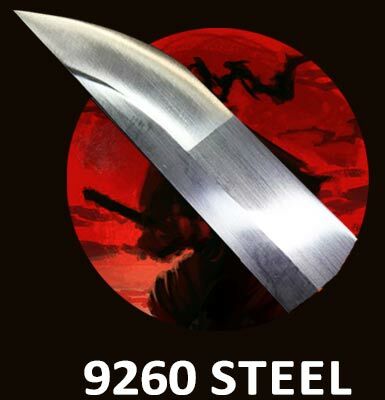 9260 is considered as one of the best alloy for swords The 9260 spring steel has .60% carbon content. 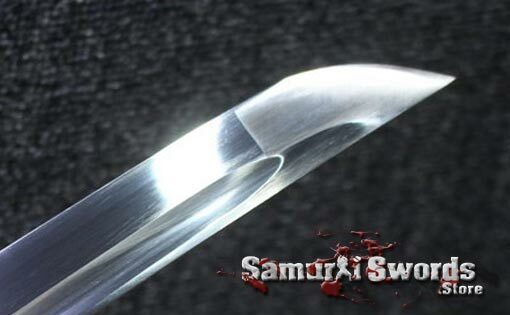 This type of Katana steel can be compared to 1060 carbon steel in hardness and durability. however also offers a lot of flexibility. 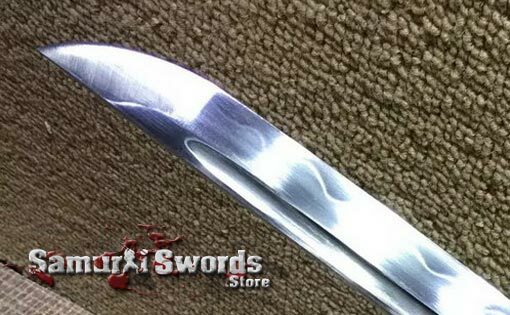 Spring Steel Katana swords are characterized by an excellent durability: they exhibit an uncommon resistance to bending and mistaken strikes, the 9260 spring steel swords are tempered, resilient and tough yet very flexible. if you still haven't tried the 3D app, download now and design your sword while seeing the outcome before ordering, create your custom Katana within minutes. Tamahagane is a steel that follows the traditional way of making steel the Japanese way. The word tama means round and precious. It is often compared to that of a gem. Hagane simply means steel. The Tamahagane is used in producing not just swords alone but, knives and other kinds of tools as well. A good tamahagane contains 1 percent of carbon. This percentage must never go more than 1.5 percent to create the ideal steel for samurai swords. The Tamahagane steel is made of iron sand or Satetsu. It takes from 36 to 72 hours just to make Tamahagane steel. This shall depend on how many people are working on it and how much of the metal is used. Iron sand is added slowly every 10 minutes while the mixture is frequently turned over. After this steel has been produced, the clay tub is broken and the steel produce is removed. The metal block found on the edges are said to be stronger because this is where the oxidation process takes place. 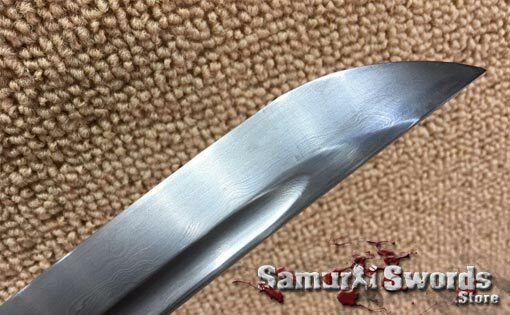 Clay tempered blades are swords that have a real hamon, they have soft spine and hardened edge, Our clay tempered swords for sale have HRC level of the edge around 62. When a sword is clay tempered the edge is hardened so it will retain a sharp edge while the spine is left softer so it will bend but not break. A Clay tempered Katana blade is important for making a sword that can withstand extensive tameshigiri. Want to learn more about the different steel available on our site? You probably heard about Damascus steel and Japanese folded steel Katana, however try not to confuse between the two. the process of Nihonto in ancient Japan involved folding the steel to get rid of impurities, due to lack of good quality iron. 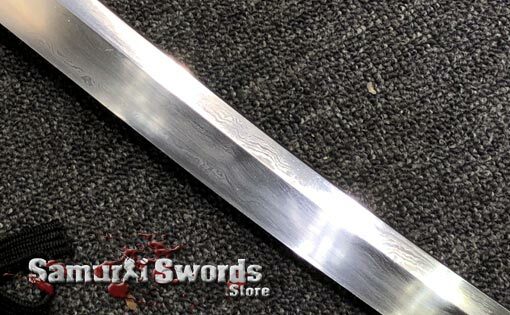 Today the steel is pure and, folding is done to increase the beauty of the sword and add a grain (Hada) to the steel, which creates beautiful patterns on the blade. However with today modern steel, it does not improve the hardness of the blade, or the performance of the sword.